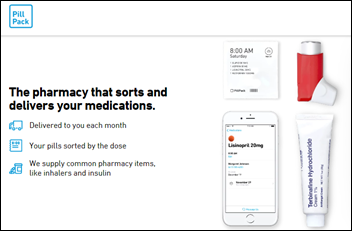 Amazon will acquire online pharmacy PillPack, which dispenses patient prescriptions as individual time-sorted doses. The company is also known for its sophisticated technology, which includes patient apps and order processing systems. Shares of CVS and Walgreens dropped sharply on the news that Amazon has made its long-rumored healthcare entry. Amazon’s acquisition price wasn’t disclosed (rumor: $1 billion in cash), but PillPack had raised $122 million through its Series D round in September 2016. The company said last year that it expected to bring in $100 million in revenue for 2017. Walmart was rumored to have been close to buying the company in April 2018 for under $1 billion, but didn’t pull the trigger fast enough. 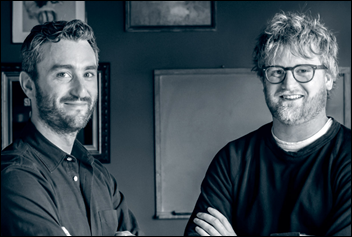 The founders, who are both around 30 years old, met through MIT’s Hacking Medicine. As someone noted on Twitter, you can now buy everything Walgreens sells through its drugstore from Amazon. Amazon could also connect with insurers who want an alternative to giving business to pharmacy benefits manager Express Scripts, which Cigna acquired for $67 billion a few weeks back. That would take some work since to my knowledge, PillPack offers just the prescription-filling service and doesn’t negotiate manufacturer prices or manage the use of specialty medications. Still, Amazon has the clout to turn the company into a PBM given that it now has the necessary pharmacy licenses (49 of 50 states, excluding Hawaii), multiple fulfillment locations, and the technology needed to scale. Maybe it’s unreasonable to expect an India-based research firm that covers everything from strollers to glass tableware to understand healthcare intricacies, but one might ponder the wisdom of spending $3,300 for a report that in every instance refers to “HER” instead of “EHR.” I generously offer this free advice: in Word, click File, Options, Proofing, AutoCorrect Options, and then remove the entry that corrects “ehr” to “her.” Svaagat hai. Thank you, The Atlantic, for noting “exclamation-point inflation” in which two or more exclamation points are now required to properly indicate written enthusiasm. The article notes the precedent of diluting the value of “awesome” as overused term in an attempt to overcome the non-signaling blandness of email conversation. I’ve seen Facebook posts that (a) ended every phrase with one or more exclamation points like the writer was on their eighth cappuccino of the morning; (b) ran a single sentence for hundreds of words with seemingly random blurting separated only by ellipses; and (c) use those annoying text-as-a-picture things whose point I clearly don’t understand since I find them nearly as aggravating as running movie clips turned into GIFs to indicate one’s reaction on Twitter. Medical procedure shopping app and “on-demand insurance” vendor Bind raises $10 million from investors that include Ascension Ventures and UnitedHealth Group, increasing its total to $70 million. The company offers basic medical benefits from insurers and then allows employees of it customers to shop for procedures by price, where they pay co-pays but no deductibles. The founder and CEO is Tony Miller, a former health benefits company CEO who is a managing partner of healthcare services venture capital firm Lemhi Ventures, whose other active investments include PokitDok and Recondo. Here’s what market power allows you to do – ATT increases its easily overlooked “administrative fee” cell phone bill line item from $0.76 to $1.99 (I’m paying $1.26, from my bill above), which sounds innocent enough until you do the math and realize the company will get a free $800 million per year to help pay for its $85 billion acquisition of Time Warner. Because it can. Cerner settles a class action lawsuit brought by employees who say they weren’t paid overtime, but details may not be released since Cerner has asked the court to seal the agreement’s details (legal sources place the figure at $4.5 million). The company denies wrongdoing but says the settlement is in its best interest as long as the details aren’t made public. The lawsuit was filed on behalf of delivery consultants and system analysts by a former employee who says those are entry-level jobs that require no background in systems analysis, software engineering, or programming. LabCorp will deploy the Phillips IntelliSite digital pathology system for reducing diagnostic time and for collaborating with specialty pathologists. Jackson Health System (FL) signs an 11-year agreement with Philips for enterprise patient monitoring for a per-patient fee. Healthwise promotes chief medical officer Adam Husney, MD to president. The Johns Hopkins School of Nursing hires Kenneth Dion, PhD, RN, MSN, MBA to the newly created position of assistant dean for business development and strategic relationships. His work history includes the founding of Decision Critical and incubator TurnPath as well as time spent as a VP of HealthStream. T-System promotes Robert Hitchcock, MD to EVP and GM of documentation. Meditech customer Alliance Community Hospital (OH) goes live on CommonWell’s interoperability services. I was about to write “FHIR-powered services,” which made me realize my own suppressed marketing potential as I then contemplated trademarking the term “FHIRpower” to cash in on the lowbrow punning by those who are endlessly amused that “FHIR” can be questionably contrived to sound like “fire” if you fancy yourself a health IT wit. 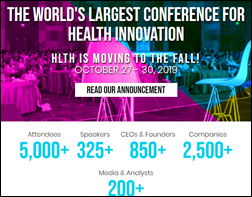 The endlessly-hyped HLTH conference will move its planned second iteration from May 2019 to October 2019. Somehow the founders – who raised a fortune in VC money – failed to notice that the HIMSS conference owns the springtime conference schedule (duh) and the idea of holding theirs immediately afterward in the same city (Las Vegas) was kind of stupid. Investors now have to wait an extra five months before the company’s next revenue bolus, assuming it really does rebound from its amateurish error for a late 2019 redux. It will probably be fine since many in our industry never met a conference they didn’t like attending, raising the question of how valuable they are to employers that chug along fine without them. Verily (the former Google Life Sciences) will provide digital health technology for an insulin patch pump for diabetics that it will commercialize with drug maker Sanofi and micro-pump technology vendor Sensile Medical. Congressman Phil Roe, MD (R-TN) says in a Tuesday VA EHR hearing, “It’s incredibly important that these health information exchanges work, that we can share information. It’s a problem in the private sector, trust me. 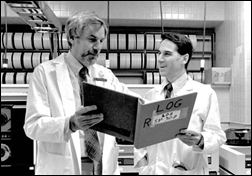 You can’t go to a hospital and get the information .. One of the things that bothered me when I was out at Fairchild was that on MHS Genesis, when you came in, what was entered into the EHR was basically allergies, medications, medications, procedures. I can get that in one minute of asking somebody. Other data, what I really want to see, are your lab results, x-ray reports, notes from previous visits, discharge summaries. You have to use the Joint Legacy Viewer to look back. That slows you down … are we going to be able to put all this information in … without using two systems? 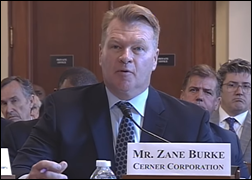 If we do, what’s the point of using Cerner?” Roe also noted that the VA’s needs are different from DoD’s since active military members are mostly young and healthy. 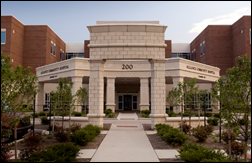 The VA responded that Cerner will ingest all records, including those from community providers. 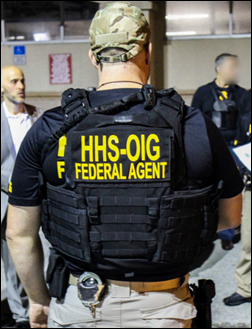 The Department of Justice charges 601 defendants — including 165 doctors, nurses, and other licensed professionals – for $2 billion in fraudulent billings for medically unnecessary or compounded prescriptions. Among the details of the largest health fraud takedown in history: 84 of of the cases involve the illegal distribution of 13 million doses of opioids; claims for hundreds of millions of dollars were filed for phony substance abuse treatment services; a compounding pharmacy provided prostitutes and dinners to podiatrists who issued prescriptions on pre-printed forms that generated $250 million in fraudulent pharmacy claims; doctors were charged for taking kickbacks from home health agencies; and a medical transportation company that cruised the street for people willing to take cash for fraudulent physical and occupational therapy took in $7 million. Zuckerberg San Francisco General Hospital examines a South Korean tourist’s baby who had fallen off a hotel room bed, determining that the child was fine and required no treatment. Two years later, the family receives a bill for $19,000, $16,000 of which involved “trauma activation” fees, in which any trauma center can make up an activation fee even for cases in which no trauma services were actually delivered. Another patient seen for a broken ankle was hit for the same $16,000 trauma response fee, which with other charges insurance wouldn’t cover, left her with a bill for $31,000. Another patient seen by a California hospital for a minor motorcycle accident was sent home after receiving no diagnostic tests and treatments that included only an IV, ibuprofen, and staples, leaving him with a $27,000 bill, of which $23,000 was a trauma response fee. Because they can. 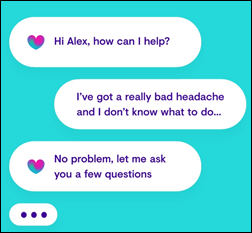 Diagnosis chatbot vendor Babylon Health, which powers NHS’s GP at Hand app, claims that its AI-powered bot scores as well as human doctors on medical exams, although doctors are skeptical since they can’t verify the company’s claims and they say patient will still end up seeing a doctor. The company says it will roll the system out as an Alexa skill. Some lawyer’s family is now financially set for at least three generations: a California county and its tree inspection contractor will pay $47.5 million to settle the case of a seriously injured 12-year-old public park camper whose tent was crushed by a falling tree. In the UK, a drug-abusing anesthesiologist who was previously accused of looking up celebrity medical records and injecting himself with leftover patient opiates dies on the last day of his honeymoon after taking medications he bought on the dark web. Patientco adds patient financing solutions from Curae to its SmartFinance platform. Mobile Heartbeat and Amplion Clinical Communications will integrate their respective enterprise mobility and nurse call systems. James Welsh joins Mazars USA’s Pennsylvania office practice as partner. Yep, I confess, I have been guilty of exclamation-point inflation. In fact, as full disclosure, I have even gone back and edited a few sentences to remove or replace exclamation points. My thinking is usually ‘well, maybe I should replace this one with a period (.) because THIS sentence really needs an exclamation point, so I must be judicious. Sigh. Maybe I should start an “exclamation-point anonymous” group. The response was brilliant in a way, since you can’t perjure yourself if you never answer the question. Epic fought and won, Cerner settled (and perhaps didn’t have employee arbitration agreements in place in time). It’s probably easier to settle when your company is publicly traded, but it took them a long time to get to that point. Love the articles on hospital M&A. Please add software vendors to the subject matter. Mr H, regarding the exclamation points you truly have no idea how bad it is. As bad as it is to see on FB and other social media sites, I have seen several resumes for otherwise experienced people who ended every bullet point with an exclamation point. I would probably toss their resume, maybe unjustifiably, for allowing bad social media habits to bleed over into what should be the most professional of communication. Next think you know they would be hashtagging everything and including emoticons. They’re probably perfectly nice and capable people, but I would still question their judgment.